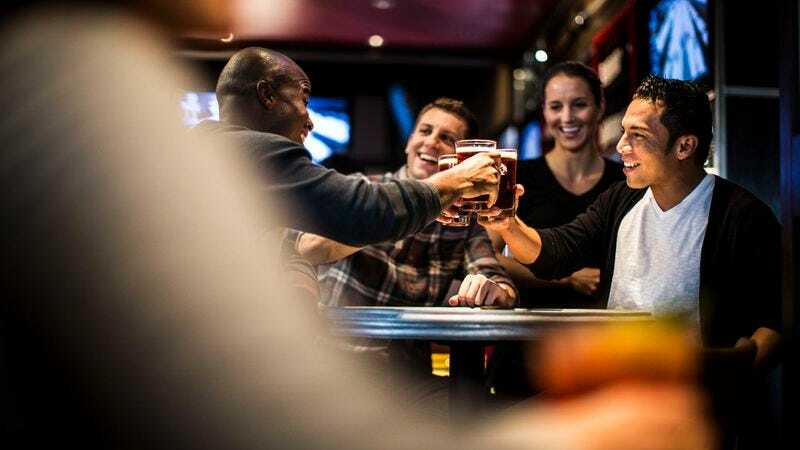 CHARLOTTE, NC—Kicking off the evening with their customary expression of excitement and camaraderie, a group of friends reportedly consecrated their night out on the town Friday with a ceremonial opening exchange of high-fives. “Yeah, let’s do this!” 27-year-old Jeremy Higgins said after arriving at his friend group’s preferred drinking establishment, where he ritualistically held his hand aloft and struck the palms of his fellow revelers one by one, heralding the commencement of the wild night. “The gang’s all here—time to get things started!” At press time, sources confirmed that the friends were celebrating the arrival of the evening’s first round of drinks by reverently raising their beer bottles and clinking them together while formally intoning the word "Woo!"